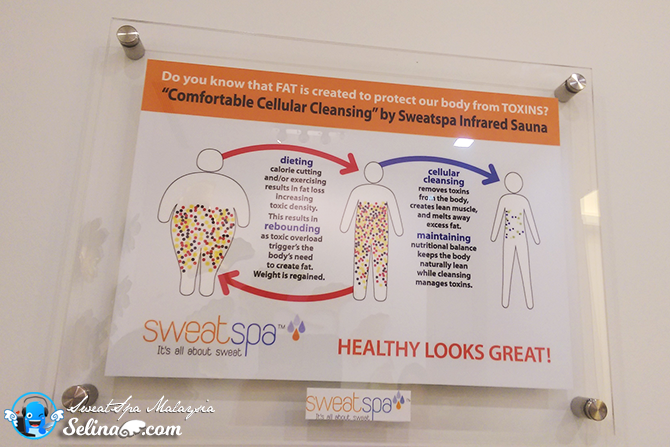 SweatSpa, Health Infrared Sauna is coming to Malaysia on first time as they launched a very modern Infrared Sauna, which are very good for your health life because this is one of the most effective ways to detoxify the body of toxic chemicals, heavy metals and excess fat. It can help you to lose weight, fat stomach and remove the oils from your skin of body when you are using the Infrared Sauna, SweatSpa. You want to become beautiful or be thin? You will have some benetifs; "Remove toxins, Anti-Aging & Skin Purification, Lower Blood Pressure, Weight Loss, Pain Relief, Improved Circulation, Wound Healing"! Have you tried the traditional hot sauna room before? They used a fireplace where stones were heated to a high temperature in a small hole inside the traditional hot sauna, when the water was thrown over the hot stones to produce steam and to give a sensation of increased heat is known as wet/steam but, it have disadvantage about difficult to breath in hot room. Nowsdays, the modern infrared sauna have a very good benefit of being effective at a more comfortable, and strong heat (62'C - 70'C) so it never have steam, so you are very calm down and never worry about the difficulty of breath when you tried SweatSpa! Why? The Infrared saunas are 7 times more effective than traditional saunas at detoxification because the infrared heat penetrates human tissues and can make you sweat alot - 20% toxins (80% water), compared to you sweat alittle - 3% toxins (97% water) with a traditional sauna. First time, I just get to know from my mom, about what are SweatSpa? 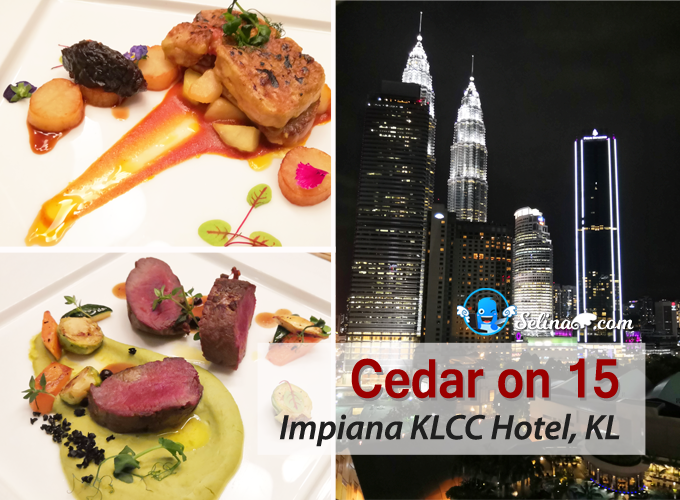 My mom blogged about this opening event in Atria before, please read her post if you want to know their launch event. 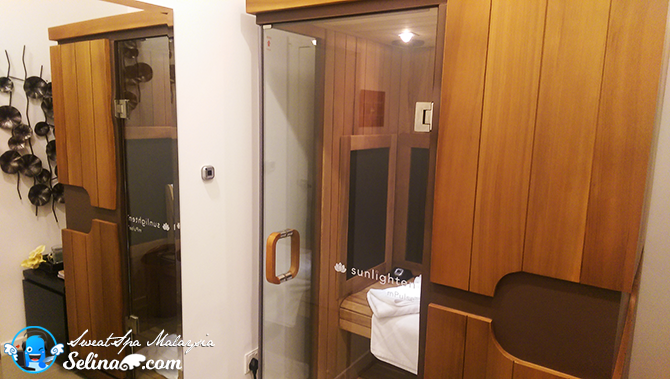 Long time, I don't use the hot sauna room because I was traveling to experience different hot sauna center in South Korea, Japan and other country only have winter season. So, Malaysia never have one, that is why SweatSpa come out to help the people who prefer to get the health so naturally! My mom and I welcomed by Ms Sabrina, SweatSpa founder who is friendly. 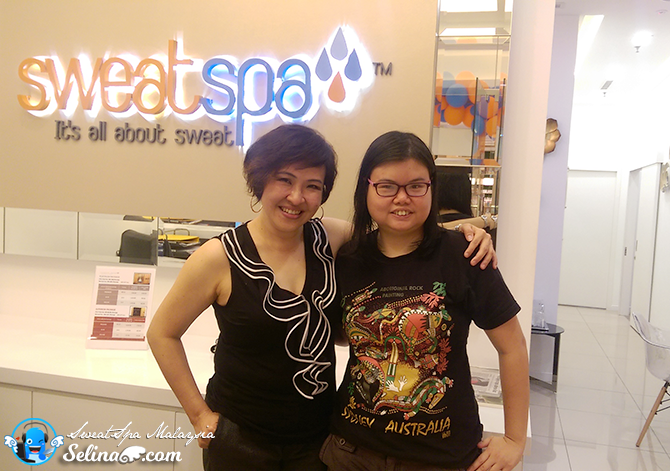 She told me that I was first Deaf who try their Infrared Sauna in Atria Shopping Gallery, Petaling Jaya! I felt that this wellness center is very clean and comfortable so we can sit down on the sofa. 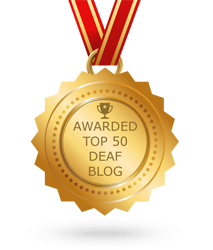 The staffs also be nice and understanding about my disability as hearing impaired. We just use the simple sign only. I asked to write down on my health evaluation form, then they need to examine my body and weight before I used the Infrared sauna. Don't worry, this is just simple, like the school nurse examine my health. Haha. 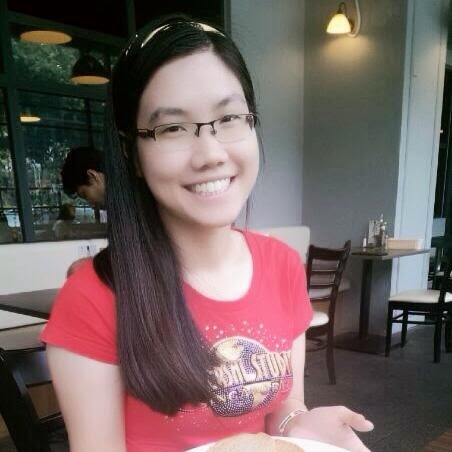 Ms Sabrina explained to me about how to clean the toxin, and loss fat, because I am fatty! Wah! I wish to lose weight as I want to be thin! I guided to see my private room, and shocked to see a very modern Infrared Saune Cube, called "ASPIRE"! This is for 1 person only, as well my room have a chair and book shelf and cloth hangers. 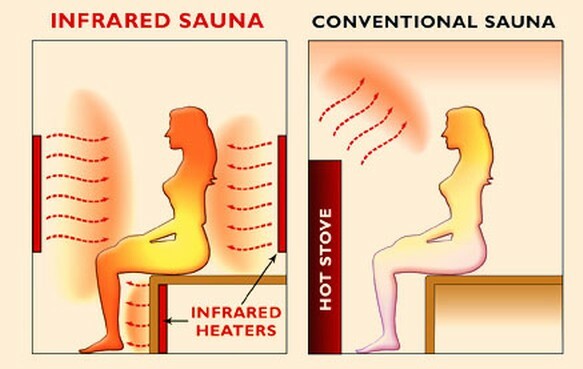 I can do what I like in my freedom when I sit in the Infared Sauna! I can read novel or feel relax when I sweat alot lot! After this, I visited another room, called "DISCOVER", it can up to 4 pax! Mean 4 friends can chat-chit or can watch TV in this big room together! They told me that who can do yoga in this Infrared Sauna so bigger. So luxury! 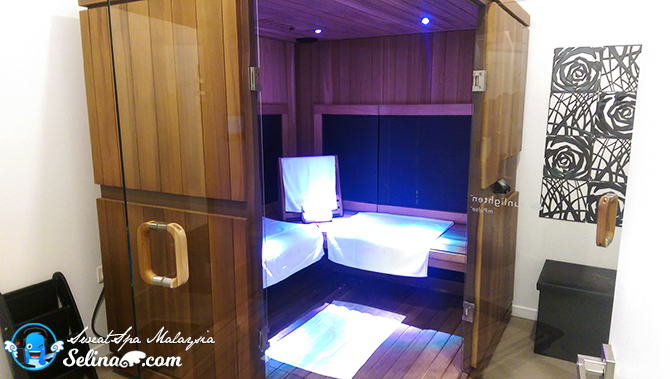 My result just be out, and my fat go down abit, because first time I use this Infrared Sauna, just beginning. If you always use it on many times, you may can be beautiful and thin so naturally! GOOD NEWS! 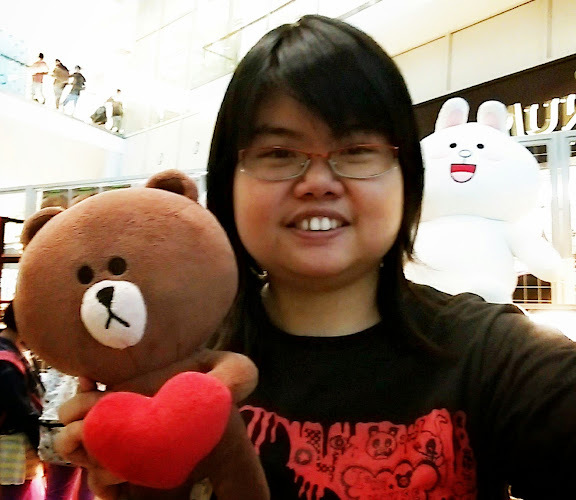 SweetSpa Malaysia give the special disability price - First Trial: RM50 (Orginial price: RM88). After this trial, you can sign up 1st package: the Deluxe 5+1: RM 572.40. Now promotion offer if you buy 2nd package is half price: RM286.20 only after you use 1st package. *You can email me at ooiselina [at] gmail.com for more details. 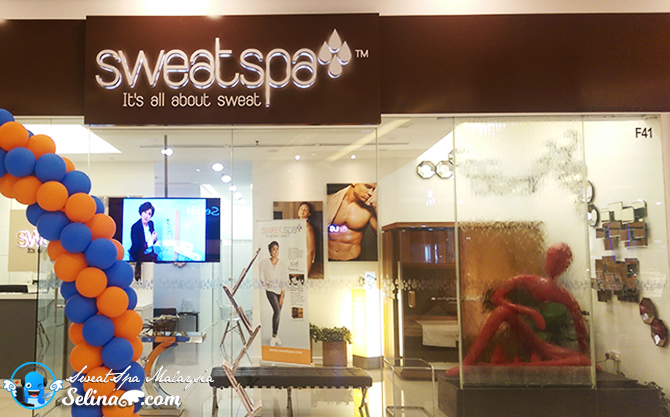 Sweatspa wellness center is located at Bangsar Shopping Center in Kuala Lumpur, Atria Shopping Gallery in Petaling Jaya, Gamuda Walk in Kota Kemuning, and Plaza Gurney in Penang. For more information, visit their website at http://sweatspa.com/.